We are busy getting ready for our Fat Tuesday meal tonight. Dan is going to make gumbo. We love a good celebration. 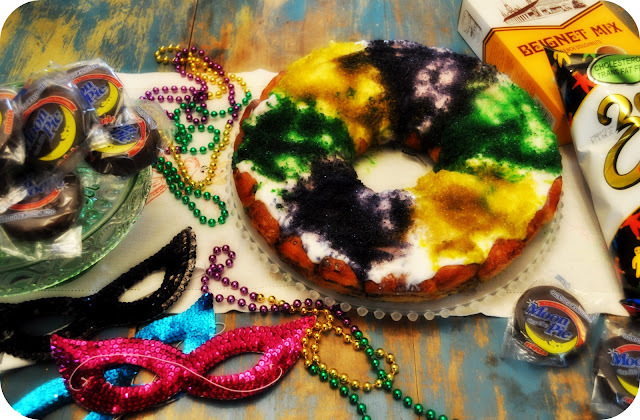 That is a scrumptous King Cake my dear! So jealous, I can't find moon pies here in Arizona, but I did wear my beads today. Tell us who gets the baby!